Arthur Godfrey was a 50’s tv and radio icon, an aviator, equestrian…but not such a great tour leader. You’re listening to The 1000 Islands Song, a Columbia 78 recorded in 1947. The archipelago lies in the St. Lawrence River, on the US-Canadian border. 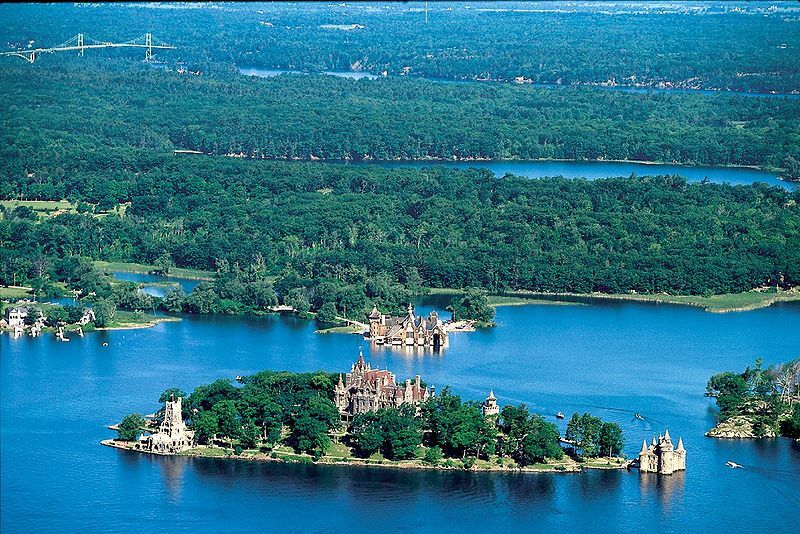 There are actually about 1800 islands, each passing the stringent criteria of :A. being above water level year-round, B. Having an area greater than one square foot and C. bearing at least one living tree. That island mentioned there, 793, is an actual one, belonging to…Arthur Godfrey. That’s right…it was gifted to him by Grant Mitchell of the 1000 Islands Admiralty in appreciation of the song. Check out more right here. It was GIVEN to him, not “gifted.” “Gift” is not a verb. Thanks for listening and commenting! (Also, love your username :)) “Gifted”,as a verb, (to make a gift of) has been in use since the 17th century, according to the Oxford English Dictionary. It’s usually used in the event of a donation, bequest or other formal gift.